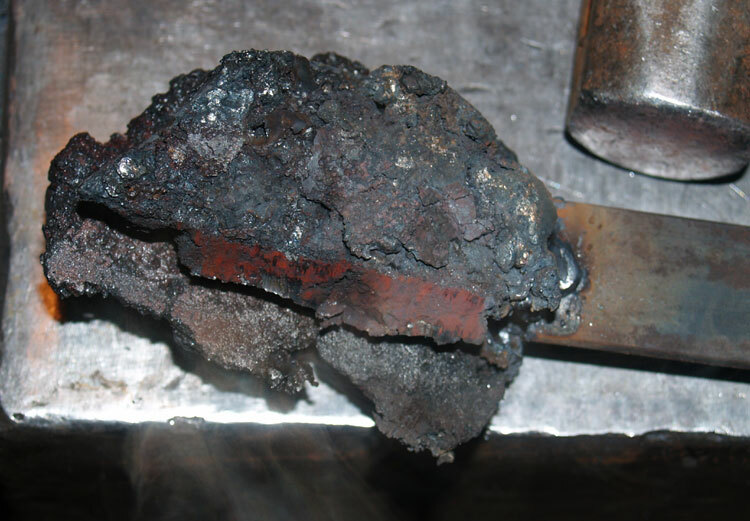 ABSTRACT : 'Forging Bloomery Iron', a course working with this unique ancient metal. Artisan Blacksmith Darrell Markewitz offers a regular series of weekend long programs in a number of aspects of traditional Blacksmithing. 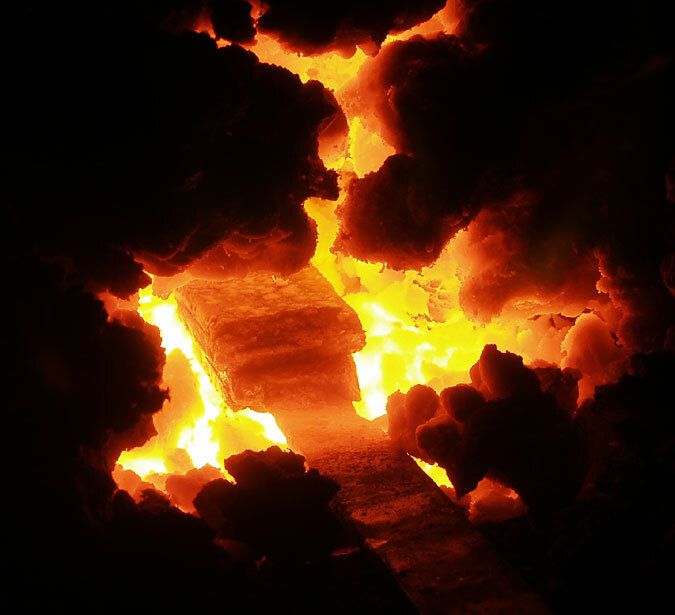 Special courses include : layered steels (pattern welding), bladesmithing / knife making, bronze casting, iron smelting. Programs held at the Wareham Forge in Ontario Canada, with remote teaching offered at other facilities. 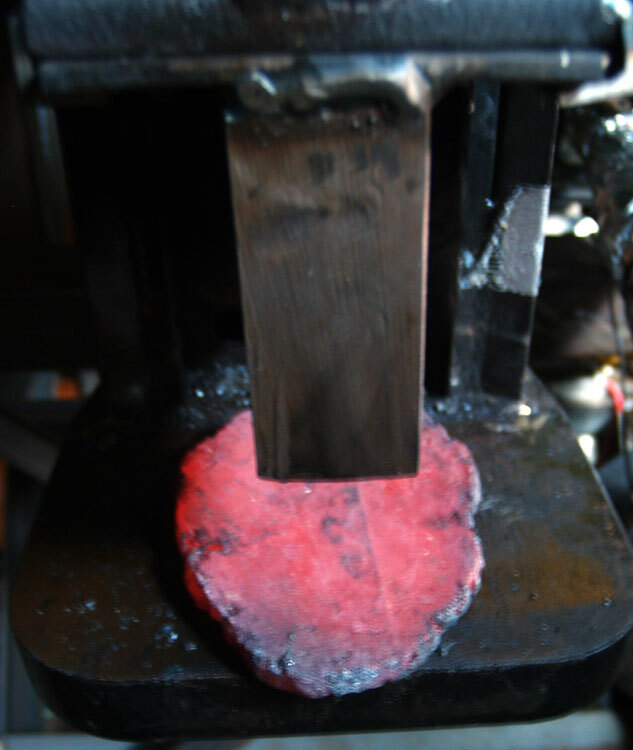 Forging Bloomery Iron is an intensive hands on program, roughly 18 hours in duration. It is the only program covering these skills available in Canada. 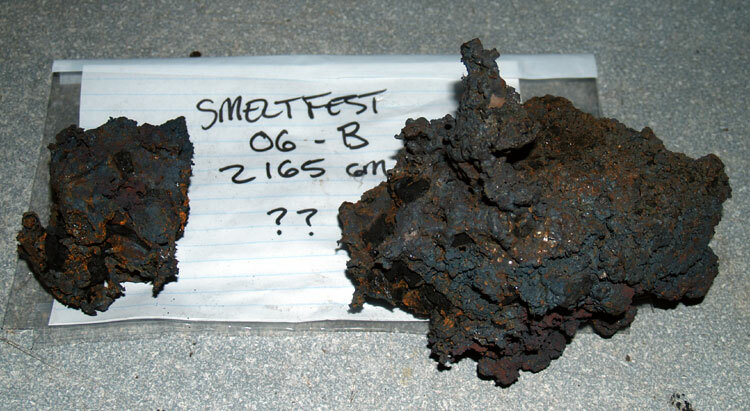 Each student will be provided with a 1 kg pieces of 'raw' bloomery iron (created from one of the smelts seen on the Experimental Iron Smelting series, value approximately $100). Deliberately, the quality and alloy content of these bloom pieces will vary. Requires intermediate level experience (ability to forge weld ), (see Course Requirements). Session limited to TWO students only, with each provided with their own work station. Powered Equipment available includes a 30 ton hydraulic press and a 50 lb air hammer. Saturday, the program starts with a background lecture covering the historical development and the practical elements of the small direct process bloomery furnace. The balance of the day will be spent with learning and undertaking the physical process of compacting their individual bloomery iron pieces into 'working bars'. Sunday, starts with an overview of the related 'Aristotle' re-melting furnace and a demonstration firing. The remainder of the day will be spent completing the creation of individual working bars. If time permits, simple objects may be forged from the student's bar. Your instructor, Darrell Markewitz, is well known as a specialist in the Viking Age. He consulted on the Smithsonian's 'Vikings - North Atlantic Saga' and the Newfoundland Museum's 'Full Circle - First Contact'. He designed and produced the exhibit 'World of the Norse' for the Cranbrook Institute of Science and the 'Norse Encampment' living history program for Parks Canada. In 2001, he was part of a special research team at L'Anse aux Meadows NHSC working on presenting Viking Age iron smelting at the site. 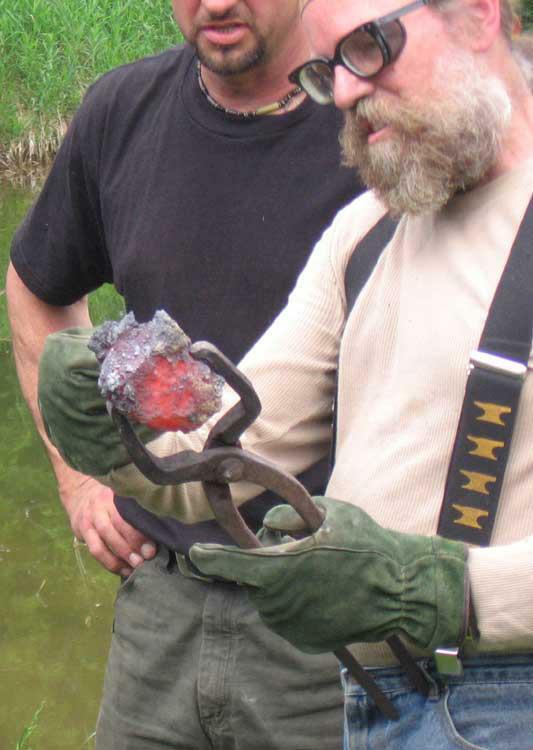 Since then he has lead a series of experimental iron smelts, attempting to discover lost techniques as they might have been used by the Norse undertaken by the Dark Ages Re-creation Company. He is one of the core group of demonstrators and team leaders behind the highly successful 'Early Iron Symposium' - an annual event held at the Farmers Museum in Cooperstown NY. He has taught workshops at his own Wareham Forge, museums, universities and academic conferences in Canada, the USA and in Europe. To date, he has undertaken over 60 smelts using a range of historic and modern equipments. The course fee includes 1 kg bloom iron and a handout on disk. All required safety equipment will be provided. Students are recommended to wear old clothes, which must be all natural fabrics (cotton ideal) and work boots. A long sleeved shirt and cap is recommended. A cancellation may result in the loss of your deposit. 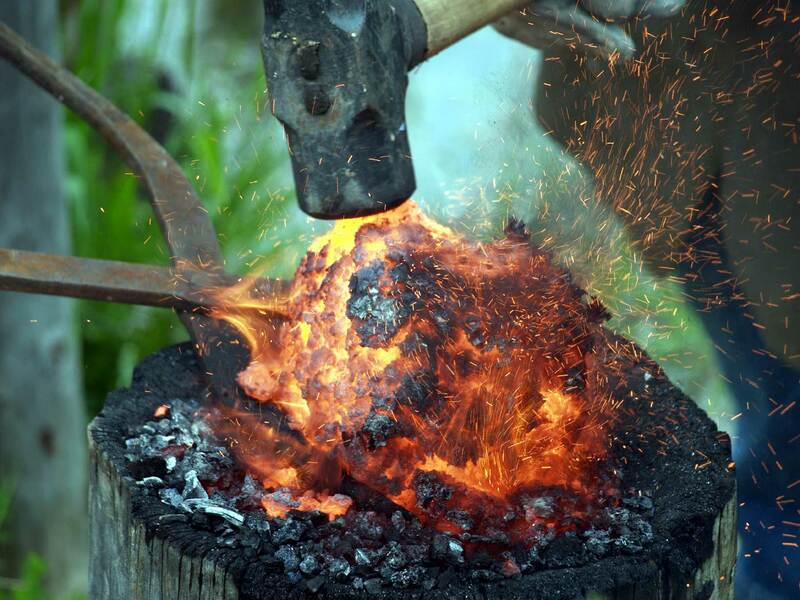 Interested in adding the drama of an Iron Smelting Demonstration to your Special Event or Educational Program? Darrell has been a featured demonstrator at a number of past events - including in Canada, the USA and within Europe, since 2003. For availability and rates, please contact me.